Ah, NBC. Someday there will be a critically acclaimed Game Of Thrones-style epic about all of the crazy stuff it pulled while trying to reclaim its former glory (the monkey doctor show story arc will be especially thrilling). For now, though, we just have to live through NBC’s wacky adventures and make the occasional sarcastic remark about whatever new shows it’s hanging its hopes and dreams on this season. Speaking of, NBC has just picked up a few new drama pilots, and they’ll almost certainly be enough to put the network back on top. The first one comes from superhero show mastermind Greg Berlanti, but, for once, it’s not about a handsome, young person fighting crime on The CW. Like Arrow, though, it does seem suspiciously reminiscent of a Christopher Nolan movie. According to Deadline, the show is titled Blindspot, and it’s about “a beautiful woman, with no memories of her past, who is found naked in Times Square with her body fully covered in intricate tattoos.” Then the FBI gets involved, and they “begin to follow the road map on her body”—which sounds super creepy—to uncover some kind of crime-related conspiracy. With The Dark Knight and Memento out of the way now, Berlanti is probably hard at work on his next show, which will be about either space travel or entering people’s dreams. NBC’s second drama pilot order is for Endgame, a thriller from the co-creator of Leverage and the people behind The Blacklist, and The Hollywood Reporter says it’s about a retired sniper who gets wrongly accused of murdering his wife. To clear his name, he starts working for “a syndicate of powerful people” who use him to stop “high-stakes crimes,” presumably by shooting people. 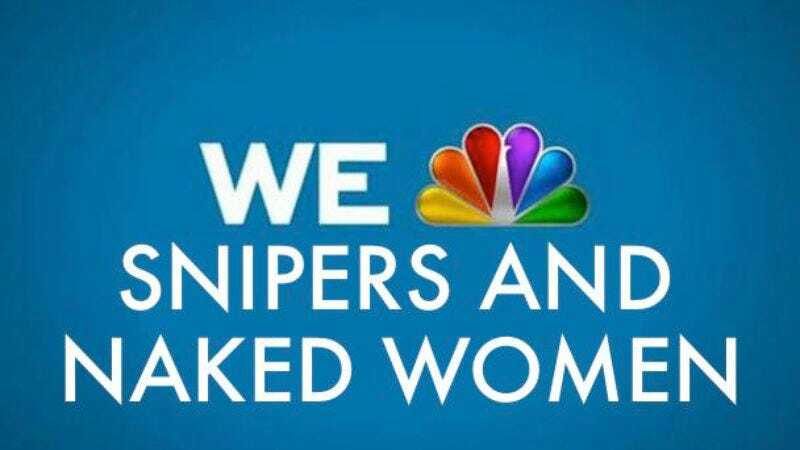 With American Sniper continuing to make money as quickly and efficiently as a well-placed bullet to the head—and everyone who dares to criticize it being publicly tarred and feathered for being an anti-American troop-hater—this seems like a pretty smart move for NBC. This country loves people (in uniforms) who are good at killing, and if NBC can tap into the same pro-sniping fervor that has swept up American Sniper‘s supporters, it could actually have another hit on its hands.